You are here: Home / Home Canning Safety Topics / Unsafe home canning practices / Why do you have to process jars of jam? An unprocessed jar of jam. Some people ask why jars of jam must be processed after bottling, in either a hot water bath or a steam canner. 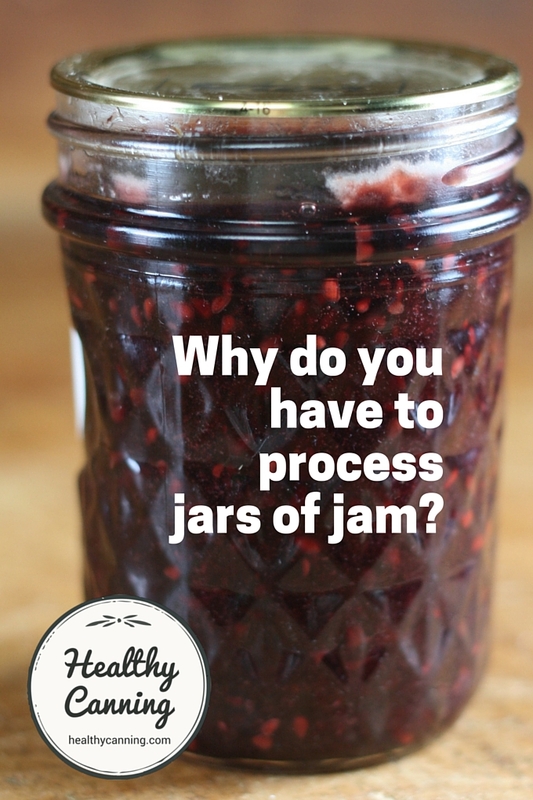 The irony is: it’s actually less work, less time, and more energy efficient to just process a filled jar of jam properly, than are the many different hoops people make themselves jump through to try to avoid doing that. When you bottle a jar of jam for unrefrigerated shelf storage, and don’t process the jar, what you are doing is creating the ideal environment in which any germs or bacteria present can thrive, sheltered in a cosy safe home with lots of food. Achieving a sealed lid on the jar merely makes it worse, by protecting those bacteria from other bacteria which might harm or out-compete them. Yet, people who would not dream of serving their family or friends undercooked poultry or pork or mouldy bread, happily serve them unprocessed jars of jams. …high acid environments inhibit the growth of bacteria and other spoilage organisms. However, high acidity alone is not sufficient to preserve foods. Heat processing in a boiling water canner is still required to inactivate enzymes, yeasts and other microorganisms that can thrive unprocessed in High Acid Foods.”  Bernardin. The science behind heat processing. Accessed March 2016. Ever got Delhi belly after eating someone’s home preserves and wonder where on earth you could have picked it up? You may have been lucky it was just that. Never lie and claim that an unprocessed jar of jam has been processed when it has not been. You could be putting people’s health at risk, especially infants, seniors, and people with compromised immune systems. Imagine too the horror of gifting someone a jar of your home canned goods and then learning later through the grapevine that they have been reporting to others that mould grew on your canning. There are many possible contaminants on the fruit straight from outdoors. It might have been exposed to raw manure in the fields, from human or animal sources. Then, by the time you buy the fruit at a market or supermarket, it will have passed through the hands of many food workers, some of whom have to handle many different types of food in the course of a day. A worker may have been handling raw chicken or raw pork, before being shouted at in a hurry to help unload arriving trays of fruit. Or, a harried worker may have insufficiently washed his or her hands after using the loo. Factors such as these open the door to the possibility of cross-contamination in transit with nasties that usually only would affect meat, fish or dairy. And even if you pick the fruit yourself from your own garden, that doesn’t change the fact that birds and animals are producing urine and droppings non-stop all day that could have fallen on the fruit. While you may think this less a problem with fruit that gets peeled for jam, many soft fruits such as berries don’t get peeled. Boiling the jam in the pot before putting it in a jar has been proven in home food preservation testing labs to be insufficient sterilization to deal with any of the serious nasties possibly present. Remember that the air itself is full of unseen mould spores, the same ones that can turn a loaf of bread mouldy in short order in humid weather. These invisible mould spores are settling on the surface of your jars of jam even as you fill them — you hands will never be fast enough to “outrun” them in the kitchen. Many people do fall ill or get upset tummies from eating unprocessed jars of homemade jam, but just don’t know enough to attribute it to the jam because the jam they were gifted looked fine. Old-time canners know. They will tap their noses, point at shoddily preserved jams, and say, “Delhi belly.” There’s no such thing as a 24 hour flu. It’s food poisoning that a person got. A frequent comment is, ‘My Grandmother did it this way, and she didn’t have any problems’. What we don’t know is, how many times the family had unexplained flu symptoms, upset stomachs, and other uncomfortable symptoms. How many times did people die of food poisoning that simply went undiagnosed? 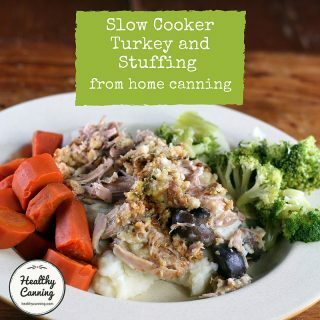 We don’t know, but we do know now that some of those older methods are simply unsafe…”  Watts, Tranda W. Home Canning Mistakes. Kansas State Extension. Accessed March 2015 at https://www.northwest.ksu.edu/doc55474.ashx. Just putting hot jam in a bottle and hoping for a heat seal is technically called “open-kettle canning”. 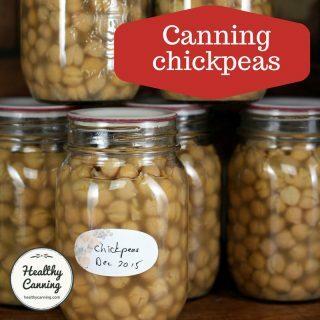 Canning pros regard that as playing Russian roulette with salmonella, listeria and a host of other nasties. Sterilizing the jar, even for an hour in boiling water, before packing the jam in, doesn’t count. 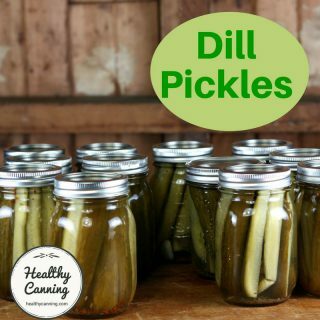 In fact, it’s a waste of time and energy because it doesn’t help — it’s now been determined through research that sterlizing the jars in advance for anything that will be processed at least 10 minutes is a waste of time. So, instead of futiley boiling jars in attempt to sterilize them, take the time instead at the end of the process to process the filled jar for 10 to 15 minutes (your recipe will tell you) at the end of the process. It’s quicker, and less costly in terms of fuel energy. Despite the high-acid content of fruit and the large quantities of sugar that are used to make jellied products, mold growth often occurs on the top. Recent recommendations from the USDA say that products that contain mold growth should be discarded. Mycotoxins, which are chemical substances produced by molds during growth, are known to cause cancer in animals. 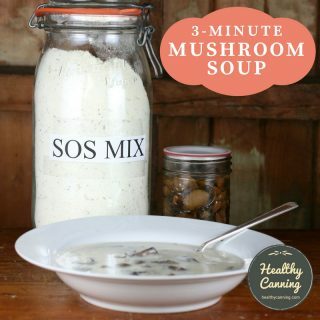 Mold growth can be minimized by using sterilized jars, packaging products in sealed jars, and processing for a few minutes in a boiling water bath.”  Boyer, Renee R. and Julie McKinney. Boiling Water Bath Canning: Including Jams, Jellies, and Pickled Products. Virginia Cooperative Extension. Pub No. 348-594. 2013. Page 12. Accessed March 2015. It turns out, though, that listeria and salmonella are the least of your worries. When moulds grow (and not all moulds are visible), they can change the pH of the jar by lowering the acidity of the fruit mixture. When that happens, botulism spores can germinate and produce the botulism toxin. People have got botulism from improperly home canned jams. 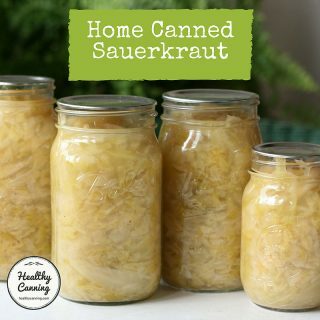 It is true that most home canned jams are usually safe, or seem to be safe. Remember though that often upset tummies are attributed to something else, and, that only in-jar sterilization through proper processing is guaranteed by research-based and tested food science to be produce a product that will be 100% safe, 100% of the time when using a tested recipe. If you are giving your jams to friends or family, or distributing them to the public, why wouldn’t you want to be 100% sure that the product is safe? There’s another aspect to unprocessed jars of jams: good, old-fashioned food wastage. 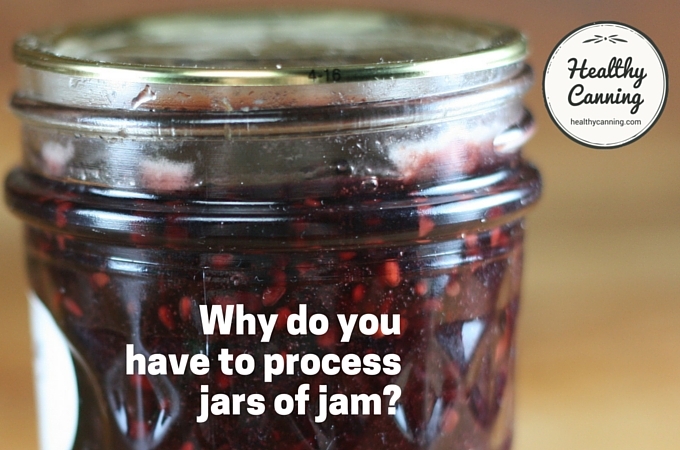 The truth behind the simplistic nostalgia of “just slopping the hot jam in a jar and setting the jar aside to seal” is that there is actually a heck of a lot of spoilage that happens. There are a lot of seal failures, both right after processing and on the shelf, which directly causes food wastage. And then there’s wastage because even with a seal, the jam goes slowly mouldy. More complete removal of oxygen from the headspace also offers some longer protection from undesirable color and flavor changes with some types of fruit products. The canning process is therefore a more foolproof method of making jams and jellies that will not spoil.”  Andress, Elizabeth. Preserving Food: Processing Jams and Jellies. University of Georgia Cooperative Extension. June 2011. The authors of Putting Food By express their concerns about short cuts from a wastage point of view: “Why take the time and effort to put by preserves, only to risk having them spoil?”  Hertzberg, Ruth; Greene, Janet; Vaughan, Beatrice (2010-05-25). Putting Food By: Fifth Edition (p. 287). Penguin Publishing Group. Kindle Edition. Elizabeth Andress puts it very bluntly in terms of plain ole’ money: “The cost of ingredients is high enough to make any preventable loss unacceptable.”  Andress, Elizabeth. Preserving Food: Processing Jams and Jellies. University of Georgia Cooperative Extension. June 2011. One thing the short-cut people don’t admit is that there are a lot of seal failures on unprocessed jars of jams. Processing the jar drives oxygen out. This produces a better seal. Without processing, you will get a weaker seal. And, “a weak seal is more likely to fail during storage.”  Andress, Elizabeth. Preserving Food: Processing Jams and Jellies. University of Georgia Cooperative Extension. June 2011. When the wax-sealed jars went funny, you could usually tell. There would be mold underneath or the jam would leak out around the edges of the wax. Frankly, I didn’t think it was all that convenient or easy – and definitely not entirely reliable. There would always be a jar or two that would go bad.”  Chowhound forum post by user Nyleve. 22 June 2008. Accessed January 2016. An unprocessed jar of jam gifted to the author, a few months later (still unopened.) The jar is crawling with mould, and essentially has to be treated as toxic. Processing your jars of jam delivers a longer lasting product in terms of colour and flavour. The jams will actually taste fresher, and for longer, than unprocessed jams. The reason is that processing in the jar destroys spoilage organisms, while preventing fresh ones from the air from settling back in, and it drives oxygen out. In competitions now, unprocessed jars of jams won’t even be considered for entry. Almost all fairs now require that jars of preserved food be properly processed and sealed in either a water bath canner or a pressure canner. If a fair judge believes a high-acid preserved food entry was not water bath processed, or was processed for too short of a time, the judge may, at his or her own discretion, choose to disqualify the entry without even opening the jar. Judges will not sample the preserved food from any jar that they suspect has not been handled or processed in a safe manner.”  Amendt, Linda J. Blue Ribbon Preserves: Secrets to Award-Winning Jams, Jellies, Marmalades and More. New York: Penguin. 2001. Page 59. Andress, Elizabeth. Preserving Food: Processing Jams and Jellies. University of Georgia Cooperative Extension. June 2011. 1. ↑ Bernardin. The science behind heat processing. Accessed March 2016. 3. 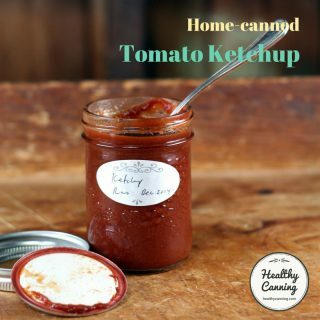 ↑ Watts, Tranda W. Home Canning Mistakes. Kansas State Extension. Accessed March 2015 at https://www.northwest.ksu.edu/doc55474.ashx. 4, 5. ↑ Christian, Kasey. Your Favorite Salsa Recipe…Is it Safe to Can? Preserving Food at Home blog. 13 August 2013. Accessed January 2016. 6. ↑ Boyer, Renee R. and Julie McKinney. Boiling Water Bath Canning: Including Jams, Jellies, and Pickled Products. Virginia Cooperative Extension. Pub No. 348-594. 2013. Page 12. Accessed March 2015. 8. ↑ Answers to your canning questions. Kerr. Question 8, page 53. 1948. Accessed March 2015. 9, 11, 12. ↑ Andress, Elizabeth. Preserving Food: Processing Jams and Jellies. University of Georgia Cooperative Extension. June 2011. 10. ↑ Hertzberg, Ruth; Greene, Janet; Vaughan, Beatrice (2010-05-25). Putting Food By: Fifth Edition (p. 287). Penguin Publishing Group. Kindle Edition. 13. ↑ Chowhound forum post by user Nyleve. 22 June 2008. Accessed January 2016. 14. ↑ Amendt, Linda J. Blue Ribbon Preserves: Secrets to Award-Winning Jams, Jellies, Marmalades and More. New York: Penguin. 2001. Page 59.